First and foremost, you should really see Man On Wire. The documentary depicts Frenchman Philippe Petit's 1974 attempt to covertly rig a high wire between the two World Trade Center towers and then go for a little stroll in the sky. I tackled the film early on in my movie-a-day project and quite liked it. But the masses don't really go in for documentaries, even ones that are staged like a heist movie. So of course that means we're getting a narrative version starring Joseph Gordon-Levitt, which now comes complete with a vertigo-inducing teaser. Without any preface, you'd be forgiven for watching this trailer and thinking it's a movie about Joseph Gordon-Levitt's Hairpiece struggling to decide whether or not to jump off that building. Look, I like JGL and all, but this whole endeavor feels somewhat unnecessary. Then again, I'm more than a little curious to see if Robert Zemeckis has got any gas left in the tank, if only from a technical standpoint. I remember reading that he was really blown away with Gravity and that he saw The Walk as his chance to really push the boundaries of IMAX and 3D in the same sort of way. I'm all for that, but I still suspect that "it's got cool visuals" will be a best case scenario here. 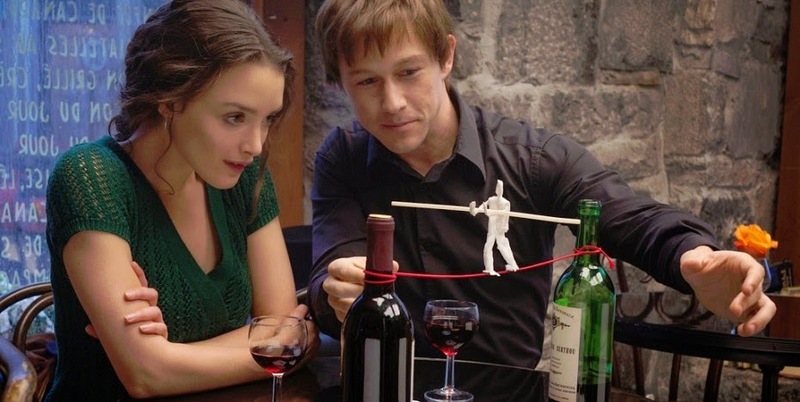 Man On Wire is currently streaming on Netflix. For what it's worth, so is The Man With One Red Shoe. Go nuts.